e-Testinspect is a real-time online portal and data management system that provides total peace of mind for the management, operational efficiency and traceability of all your height safety and lifting equipment. It makes record keeping simple by tracking of all your equipment, certifications and condemned items as well as reminding you when inspections are due. Commissioned by Ranger, and specifically designed for the Australian market, eTestinspect works to Australian Standards and encompasses LEEA methodology for best practice. 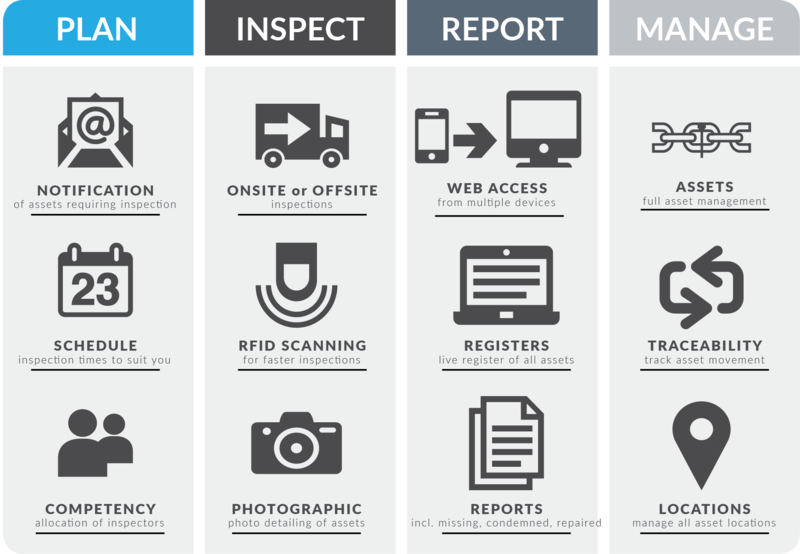 e-Testinspect is a web-based asset register for easy record keeping and full traceability of equipment. It’s simple to use, with features allowing you to sort and export data whenever and wherever you need it. All your certificates i.e. new into service, visual repair and proof load are easy to access with filters allowing you to easily search for what you need. Reports can also show what items are missing and have not sighted. Photos of speciality and condemned items can also be uploaded. Our Inspectors update e-Testinspect on-site. It means that in most cases, you can locate, review and download inspection certificates almost within 2 hours of your job being completed. e-Testinspect is constantly being reviewed and improved to provide the highest quality solutions for Australia’s lifting industry. We help you work, not push paper. We strive to save time and money wherever possible. 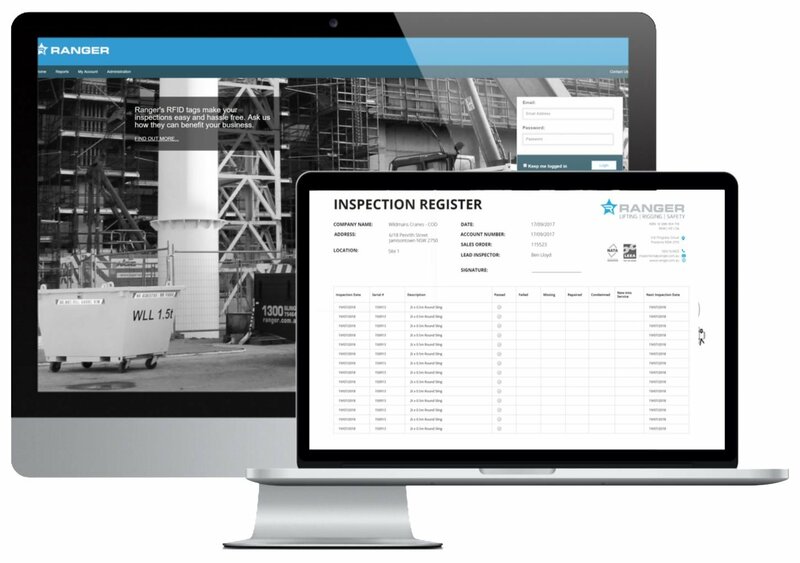 In accordance with ever-changing industry requirements and customer demand, e-Testinspect is constantly being reviewed and improved to provide the highest quality solution for inspections and Australia’s lifting industry. e-Testinspect is currently in its fifth review and is currently being updated with new applications and additions to support changes to Australian standards as well as effectively meeting customer requirements for total asset management and inspection processes. It is important to ensure that regular examinations and inspections of lifting gear are undertaken to ensure maintenance is kept, and to verify that the equipment can continue to be safely used. Use our Inspections Calculator to determine how often your equipment needs to be inspected.